For the blog tour, I decided to sew up the Rushcutter pattern by In the Folds. There’s an alternate version from the one in the collection (the pattern contains both, of course), and I wanted to challenge myself to sew up a tent dress that I would actually wear. The word “dress” makes my palms itch; they’re not usually hard to sew, but I just hardly ever get dressier than jeans. I also feel like I need a waistline when I sew dresses; I have broad shoulders, which can make a tent dress feel, well, rather tent-like. My version contains bias-bound armholes and off-seam pockets, with an option for a waist sash (which I did not make). I decided to play up the 60’s “mod” look of the dress and chose a super fun flowy rayon from Cotton + Steel. It definitely gave the dress a closer silhouette than would stiffer fabrics like cotton or denim. What I really liked about this pattern was the top yoke. The Rushcutter has a back yoke placket (a backet! you heard it here first!) and an almost raglan yoke with a front center panel and two front shoulder panels. This adds a fun detail to the shoulders and let me play with the stripes in the print. I added a coordinating red bias tape for the bound neckline and armholes, because why the heck not. The sewing process itself was pretty straightforward. 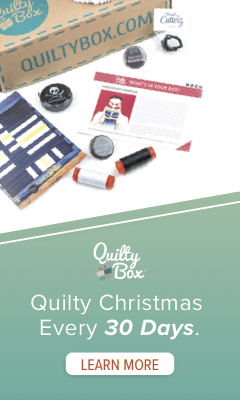 The pattern is super well-designed and very, very detailed (though she does provide a “cheat sheet” for those who don’t need as many specific instructions). All seam allowances are finished with a French seam, which in retrospect may not have been the best choice for my thin, slippery rayon. I did find that I had some bulk in a few places, like along the bottom of the front yoke and under the arms, that might have been mitigated by a different finishing technique like serging. Awww, yeah. Look at me: cutting rushes. Overall, I love how absolutely versatile the Rushcutter is. As both my version and the Indiesew collection model show, there are so many ways to play around with color, shape, pattern, and accessorizing this dress. And the best part is that it’s included in both the Full Spring Collection AND the Mini Collection. Either way you buy, you’ll get it. Score! So now I’ve got my dress; all we need is spring! COME ON, BABY! February 26: Hey, that’s me! Hi! New to Right Sides Together? Follow the blog on Pinterest, Facebook, or Instagram! As an Indiesew blogger, I was compensated for this post with patterns from the 2016 Spring Collection. 1 Comment on The Indiesew 2016 Spring Collection Blog Tour: The Rushcutter! This is so pretty! The Rushcutter is such a great pattern.